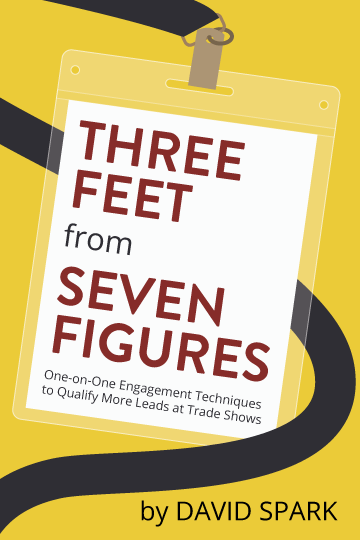 David Spark’s new book, “Three Feet From Seven Figures,” takes a look at the interaction between show visitors and booth staff, and takes the position that it’s the most critical element of successful tradeshow marketing. Hard to argue with that view. 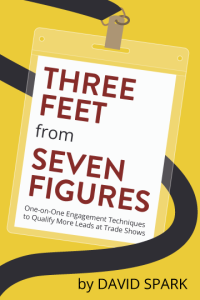 Qualify the Person Quickly – is this the right person for your business? Go grab the free sample for 5, 6 and 7…you’ll be glad you did! As he puts it, “we put too much reliance on everything but the people.” Yes, you can have a great booth, but people don’t stop to talk to a great booth. It’s just a framework for the people inhabiting the booth and representing the company. 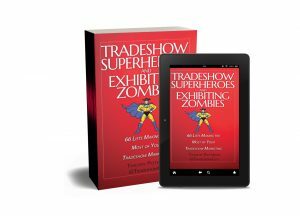 Don’t fool yourself into thinking that just because all of the booth elements are terrific that you’re going to have a successful show. Good luck on the book, David! David runs Spark Media Solutions, a brand journalism firm in the San Francisco area.